“Churrasco” (shoo-rhas’co) or BBQ in Portuguese has its roots from the early 1800’s when cowboys, or “gauchos” that herded cattle in southern brazil used to gather after butchering a cow to cook large portions of meat over a wood burning fire in the open field. Preserving food was not possible at that time so as they traveled, the gauchos would sustain themselves by slow-cooking their catch in its own juices. The same process translated into Churrascarias in Brazil and eventually all over the world by serving high quality and simple cuts of meats cooked over mesquite charcoal and served simply with sea salt on skewers. 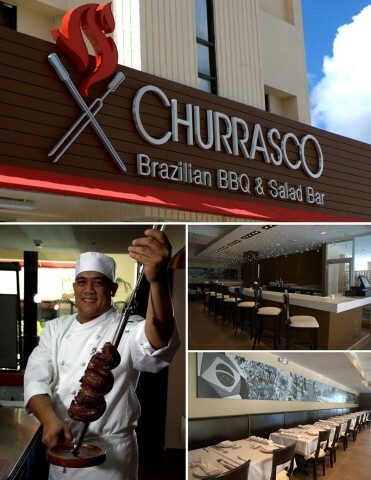 Rodizio: Churrasco offers a Rodizio option consisting of skewered meats served tableside. 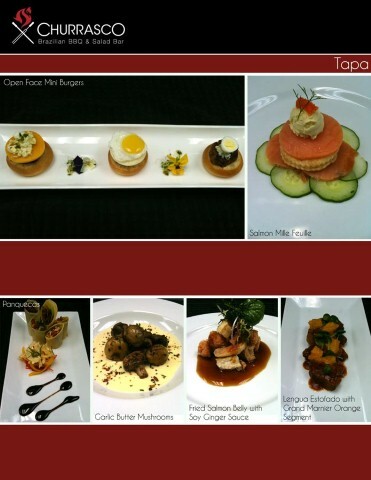 During lunch, 20 different skewered items are served from the grill and during dinner, 25 different items are served. Grilled items include picanha (top sirloin), tri-tip, skirt steak, filet mignon, beef and pork shortribs, chicken and vegtables. In addition to the grilled items, guests have unlimited access to our salad bar and hot section sides. Churrasco’s salad bar always serves local produce that is available at that time. Main Dining Room : 4,000 square feet of dining space; seats up to 115 guests. Outdoor: Patio Outdoor and covered patio available for guests wanting to enjoy the outdoors while dining. outside dining seats up to 40 guests. 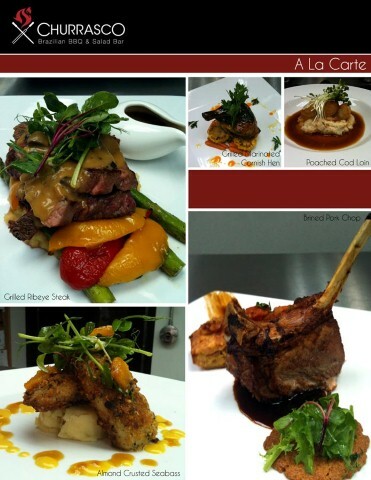 Private Dining Room: The restaurant offers a private dining area for celebrations and special occasions. It accommodates up to 15 people. No extra fee to reserve the private room. Finally Guam gets it’s own Brazilian restaurant. If you haven’t had Brazilian BBQ before you need to try it.